Location: Bruges, West Flanders, Belgium. Ownership / Access: Family Deprez. Notes: Male Castle (Dutch: Kasteel van Male) is a former castle in Male, once a separate village, now part of Sint-Kruis, a suburb of Bruges, West Flanders, Belgium. 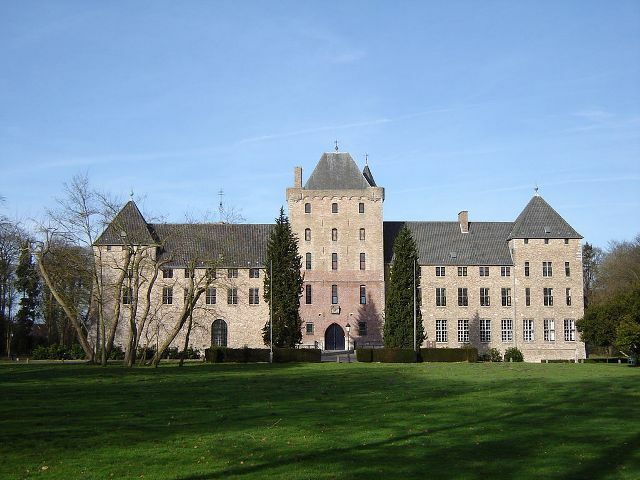 The buildings, almost entirely rebuilt and restored after the destruction of World War II, have housed St. Trudo's Abbey (Sint-Trudoabdij) since 1954. t was occupied by German troops in both world wars, and was severely damaged. This mighty castle is now the property of the family Deprez. The castle was comprehensively restored after World War II and since 1954 has accommodated St. Trudo's Abbey, a house of the Canonesses Regular of the Holy Sepulchre.